The Summerville Light is believed to be the ghost of a woman who lived here over 100 years ago. Legend has it that she met her husband at the train after work every night, with a lantern to guide them home. He was killed in a logging accident nearby, and apparently, these many years later, the woman’s ghost still makes the trek. The light is a green glow, some say basketball sized, that hovers over the road. It may start out small and far away. I have a stir from this location it is 100% real a green orb and it hovers in the road! Most freaky thing I have seen! I have been here and seen the light. Along with my Husband and Son! It is freaky indeed! I’ve seen the light several times over the years. It used to be what my girlfriends and I would do after Summerville High football games. It’s never been green when I saw it though, just a yellow light that appears at the end of the road that slowly moves towards you until finally disappearing, sometimes off into the woods on either side of the road. Definitely gave us teenage girls a good scare!!! Went out three times just after high school in 73. I feel that conditions have to be right because I saw it only once. But it was a show. We watched it a good while moving back and forth from side to side in the road then it went into the woods and we didn’t see it. I put my car in gear and crept up to try to get a close look and figure out what it was. I had a carload of girls with me. All of a sudden the started screaming, “THERE IT IS, THERE IT IS IN THE BUSHES!”. I wasn’t afraid of the light, but I took a quick look around, put my car in reverse and backed up to stop the damn screaming. It showed itself less from then on so we had our fill and left. I tried two more times but never saw it. I went out there as an adult, the road is like a washboard and a lot of it is plowed fields now. I’m not even sure if there are trees where the light used to be. I’d like to know if it still there. From reading the above post it sounds like it it. Oh, I should mention that the last time I went about 20 years ago it was daytime. I was just scouting the area to see if it was suitable for viewing. I was at this same location many times back in the early 60s. I wrote a paper trying to explain what was actually happening. Email me at fmeacher@aol.com and I will be happy to share it with anyone. It is interesting to see that this crazy thing still gets teenagers excited over 40 years since I was last there. With all the construction in the area the ghost seems to be angry. The light moves faster and is glowing darker than ever before. I first saw the light with a group of friends in June 1976. I’ve seen it a number of times since. I viewed it recently on May 1st 2017. It’s the same light in the same place only more active. Many unsettled ghost seem to be in this area. With stories of the Carns farm ghost and the the legend of Lavinia Fisher, a 19th century Charleston woman convicted for highway robbery and hung just off Meeting Street. Some claim she was America’s first female serial killer, based on speculation that she and her husband would lure travelers to their inn, slip poison in their tea, steal their belongings, and carry their bodies out back. However, her and her husband actually belonged to a band of highway thieves that settled in the Summerville area now known as Cane Bay. They were never accused of serial murder. Still, the details surrounding her death are chilling. Believing that she would be pardoned up until the moment she was hung, Lavinia, according to legend, used her last breath to scream, “If you have a message you want to send to hell, give it to me, and I’ll carry it!” Her ghost still haunts the Old Charleston Jail House, and tourists still claim sightings of her ghostly apparition. 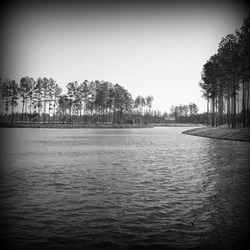 The husband and some of his victims restless spirits can be spotted between Cane Bay, where a number of victims are buried just below the waters surface at the Lakes and Sheep Island Road, home of the Summerville light. I live off of Sheep Is. Road in a newer development. I am not from Chas. but I have friends from the area who refuse to come to my house after dark! My question is…exactly where on Sheep Is. road is the light? I’d love to go see what has all my friends scared of my house. Yes it is real. Saw it several times mostly when it was a little rainy. But I have seen it on clear nights. Loved taking girls there it scared the crap out of them. An old friend of mine had a real cool cane he carried around a lot. I asked him where he got it -he said he took it from a skeleton he found while hiking through the woods down the light road. He said the skeleton was so old that the clothes had roted and fallen off.i asked if he reported it he said no I was scared I would be harassed or blamed I just took the cane and ran.cant blame him cops around there were kind of redneck back in 1977.